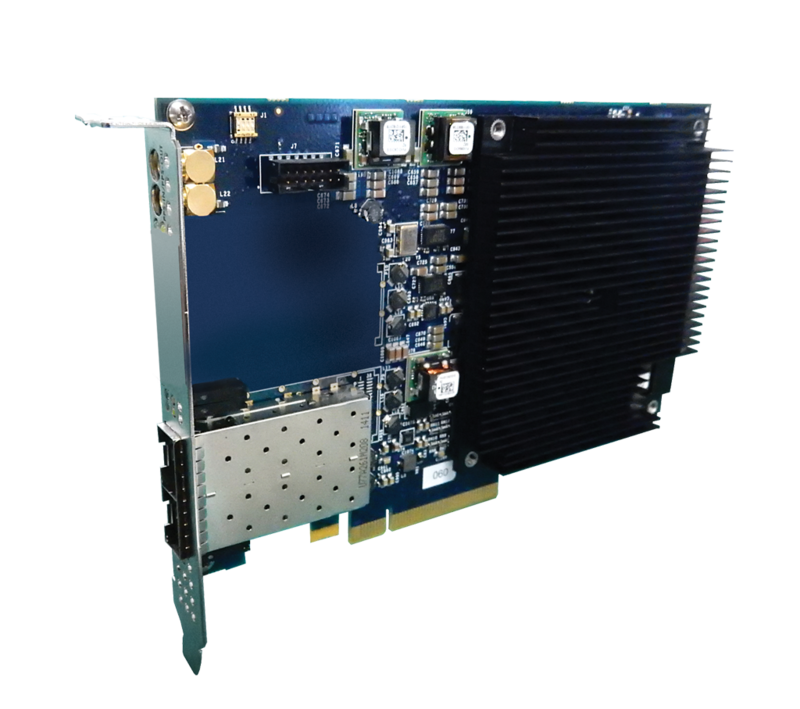 The ANIC-20Ku is a state of the art Dual 10GE PCI Express Gen 3 adapter designed for the most demanding Network Monitoring and Offload applications. The ANIC-20Ku features Dual SFP+ Interfaces which support Copper twin-ax and Optical Modules supporting SR and LR Modules. The ANIC-20Ku is based on Accolade’s next generation Advanced Packet Processor, implemented in a state of the art FPGA supported by a 2GB (option for 4GB) high performance DDR4 Memory sub-system. Ideal for mission critical host CPU offload applications, the ANIC-20Ku is designed for lossless packet capture and transfer at 20Gbps across the PCIe bus. Advanced host CPU offload functions include Hash based Classification of up to 16 million Flows, Application Aware Flow Management, Traffic Management and Packet De-duplication. The ANIC-20Ku’s DMA Memory sub-system is designed for efficient burst transfers of data across the 8 lane Gen 3 PCI Express Bus. The ANIC-20Ku presents data in a programmable organization of Buffer Rings which enable load balancing and optimized use of Multi-Core CPU Resources. The timing sub-system in the ANIC-20Ku features an optional Temperature Controlled Crystal Oscillator (TCXO) as a stable high precision clock source. The ANIC-20Ku features a flexible timing sub-system which may be disciplined to NTP, IEEE-1588 and 1 PPS input from external GPS, GSM and CDMA timing sources. The ANIC-20Ku is available with a software development package and Linux Drivers and a comprehensive API that supports access to Hardware Health (PHY Status, Onboard Temperature, Voltages) and embedded functions such as Filtering, Classification, Host Buffer Management and Time Stamping Sub- system control/configuration.